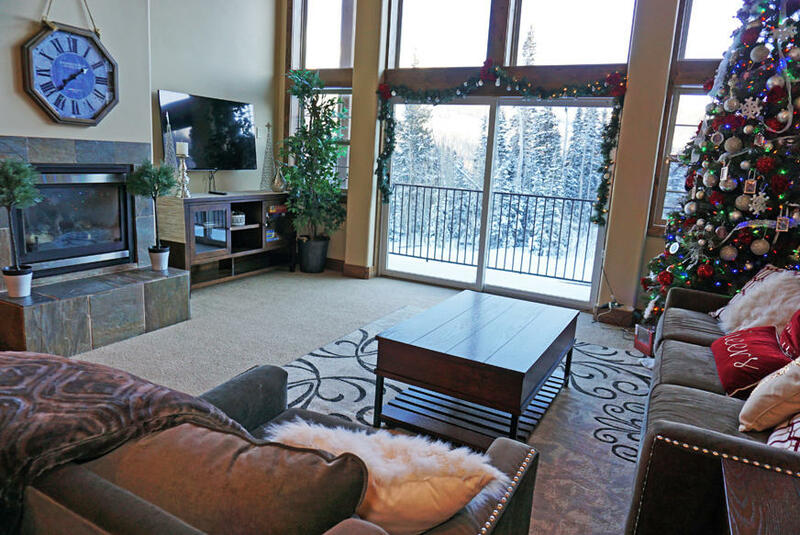 All the upgrades you can ever ask for in a spacious 5 Bedroom + loft/3 bath condo with amazing views of the Brian Head Ski Resort off the living room's 25 ft wall of windows! Granite countertops, stainless steel appliances, slate tile floors, gas fireplace and tons of sleeping areas. This unit also has it's own private elevator to take you from it's 2 car oversized garage straight up to the unit. If you want a getaway that is the size of a cabin without the maintenance, this is a must see! White Bear has an owners only clubhouse with exercise room, sauna, bathrooms, pool table and kitchen. Qualified buyers only please.